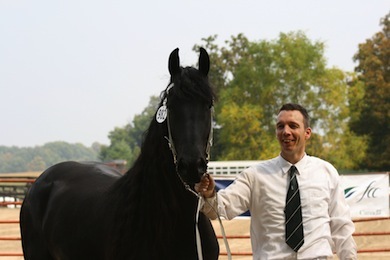 Margje, owned by Sandra Ammonn, obtained "Ster" Mare status at the FPS Friesian Keuring held in St. George, ON on Sept 21. Many thanks to Aise Bouma, Margje's breeder, who flew in from the Netherlands to "run" Margje for the keuring. Thanks also to Giselle Perry who was also in the ring with Margje. Congratulations, Margje! Xenophon SMF, owned by Sandra Ammonn, obtained 1st Premie status at the FPS Friesian Keuring in St. George, ON. on Sept 21. He was also named Reserve Champion Colt at the same event! Many thanks to Giselle Perry and Aise Bouma for "running" Cindrl and "Zen". Congratulations, "Zen"! Giselle Perry placed 4th in the 1.1/1.15m Power and Speed Class on Benge at the Niagara Equestrian Festival held at Niagara-on-the-Lake. 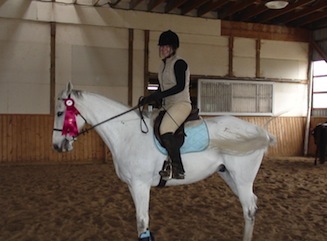 On Ghandi Giselle placed 6th in the 0.9m Jumper Class.